The week before last, the District of Columbia Federal Appeals Court handed down an unsurprising decision that, if applied aggressively, would destroy the Internet as we know it. 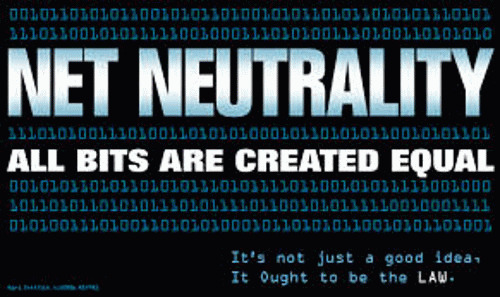 It concerns the term most of us have heard, but many don't understand: Net Neutrality. Net Neutrality is the principle that service providers --the people who actually provide the connections to the Internet, like Verizon and Comcast -- can't discriminate in the delivery of content or provision of access based on user, content, site, platform, application, type of attached equipment, and modes of communication. If you go on-line, you can reach everything anyone else can. It's been law since 2010, mirroring the growth in popularity of high-speed Internet, and the telecommunications companies have been fighting it ever since. Essentially, the court's recent decision ruled that the Federal Communications Commission does not have the standing to enforce Net Neutrality on Internet high-speed (or broadband) providers. So, as of now, there is no Net Neutrality and that has caused a major pushback among media and activists who are alternately frightened, shocked, and downright angry at the court, the corporations and, mainly, the FCC. But what has gone largely unnoticed or at least uncommented is that the court decision implicitly gives the FCC enhanced power over Internet functioning without any oversight or restraint. In short, they took away our freedom and replaced it with greater government control. This is the the most serious blow ever to Internet freedom and the political work we do on it. To figure out how we fix this, we need to understand how we got here and that's a complicated and sometimes apparently self-contradictory lesson in the problems of putting politically-connected, unprincipled operatives in charge of your communications policies. It also demonstrates how huge corporations can push the government around and how a government agency can seem to lose power while actually gaining complete control. Finally, it makes clear that, if the Internet's role is to be preserved, access to it must treated as a human right and must be taken over by elected governments or agencies under public oversight. In short, it's time to de-privatize the Internet and that's probably the only way a free Internet is going to survive. The focal point of last week's court ruling is a 2010 FCC decision that seems straightforward: high-speed Internet service is an information service that must practice Net Neutrality. Under the order, broadband providers must disclose how they manage network traffic, can't block content or services, and can't block websites or "unreasonably discriminate" in transmitting information. The 2010 decision followed nearly a decade of hearings, FCC orders thrown out by courts and all kinds of litigation including intense and often bizarre lawsuits pitting well-dressed corporate lawyers representing communications giants like Verizon and Comcast and making court arguments that not even techies can truly understand. It's never really clear who wins those corporate lawsuit fights because, in the end, both sides manage to claim some kind of victory -- so the scoreboard is blank. The technology world just wanted it all to end and the 2010 decision promised to do just that. But when activists and experts saw the decision language, they cringed. What seemed like a victory for the advocates of Net Neutrality was actually the first step off a legal cliff. The problem was the definition of broad-band service. There are two types of communications services the FCC oversees and defines. Telecommunications services are the basic technologies like those carried over phone lines; they are "neutral". For example, you don't get charged more because the person on the other line is a favorite relative; charges for calls are never based on who receives the call just on where the call is placed. "Information services" are "enhanced" communications technologies like television. Obviously, their content is for sale and, if you want a particular content package (movie channels, for example) you have to pay extra for them. For some time, FCC policy on the Internet was pretty simple: the technology ran over phone lines and so could be classifed a telecommunications service and so neutrality was built-in. But, during the first decade of this century, the FCC was forced to revisit this issue because the Internet was radically changing: while Internet service had traditionally been carried by phone cables, the faster broadband service was now also being carried by cable TV companies over cable wires. That isn't subject to Net Neutrality rules. Since 2002, when this issue first was discussed by the FCC, the phone companies (like Verizon) have argued that their broadband shouldn't be treated as telecommunications services because cable outfits like Comcast don't get that restrictive treatment. They're treated like cable television. The version on the Web would be, if you want to reach certain websites (probably the most popular entertainment sites for starters), you have to pay a higher price for your service. The two types of companies have spent the entire last decade suing each other, and the FCC, over various FCC attempts to address this disparity. The last attempt, the 2010 order, tried to quiet the storm by acknowledging that they are all (including the phone company high-speed service) "information services" -- a capitulation to the powerful cable tv lobby. But, said that 2010 ruling, they have to follow rules of Net Neutrality anyway. That was absurd, everyone knew it, and the court has now said so. In his ruling, Judge David Tatel (one of the federal court's experts on this issue) actually implied that he agreed with Net Neutrality but that it didn't apply to "information services". In short, he ruled, the FCC shouldn't apply the "information provider" title to any broadband if it wants to preserve Net Neutrality. The response was predictable from some circles. Free Press, a leader in this fight, protested loudly and vigorously, even saying that Net Neutrality is dead ("for now"). Other "free Internet" activists and advocates followed suit. The Internet's progressive technology blog lit up in the Internet's version of spontaneous combustion. 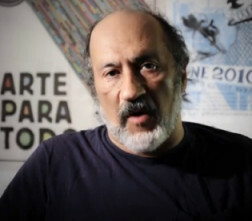 Alfredo Lopez is a member of the This Can't Be Happening on-line publication collective where he covers technology and Co-Chair of the Leadership Committee of May First/People Link.